Are you a home cook who longs to show Gordon Ramsay and the other judges on "MasterChef" that you have what it takes to be a master chef? Could you outcook dozens of reality television competitors and take home the title of "MasterChef," not to mention the $250,000 grand prize and a chance to become a professional chef? Preregister. At the website, enter your name and contact information, pick where you want to audition, upload a photo, read and agree to the terms, answer a few questions—about your background and things like, "If we came over to your house for dinner, what would you cook for us? "—and then submit. Take your completed application and your most impressive dish to the open call audition location you previously chose. 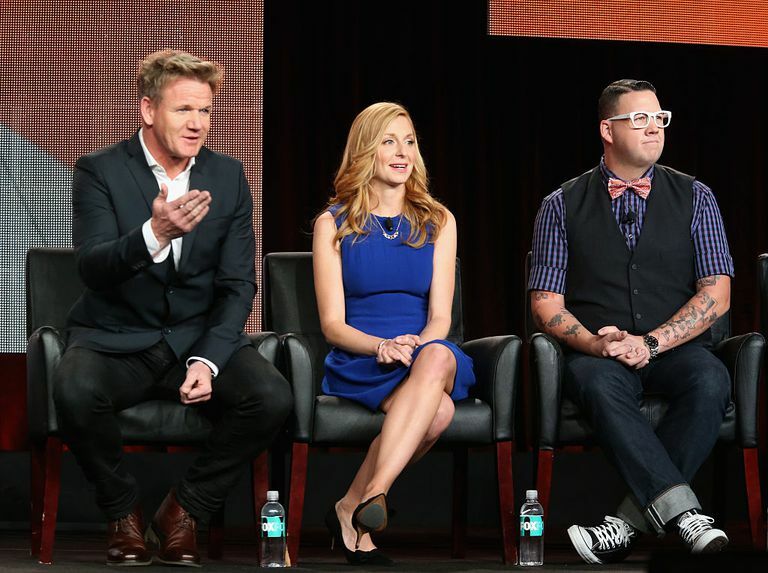 There won't be a kitchen at the audition location, so your dish must be prepared and ready to serve. Audition day will be very long, with lots of standing and waiting. There will be time to plate your dish there, but you must bring dishes and utensils including the plate, knives, forks, and spoons. You can also bring a folding chair, a snack, and bottled water, but don't bring a lot of unessential items, cameras, or recording devices. It also isn't an appropriate place for children under 13. All bags will be searched. Those selected for callbacks will be told at the time of their audition or shortly thereafter. Callbacks will be scheduled one to three days after the open call. If you didn't get a chance to pre-register, you can still attend an open call--just bring a dish and the appropriate paraphernalia with you. The video should be five to 10 minutes long. 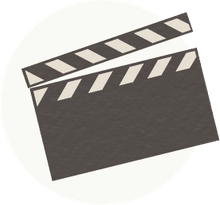 The video should tell producers who you are, where you live, what you love about cooking, what your other hobbies are, and what you do for a living. Remember that producers want to see personality. Be creative, be big and bold, and have fun. Don't edit your video or add music. Watch your video before submitting it to make sure it's in focus and you are clear and understandable. If the image or audio doesn't look or sound good enough, redo the video, but try to avoid sounding rehearsed the second (or third) time around. Laws prohibit a program from airing images of logos, brands, or copyrighted material, so avoid wearing clothing with visible logos or images of artwork, drawings, posters, or anything else that might have a copyright. Start with a shot of yourself standing outside your house. Introduce yourself, e.g., "My name is (name) and this is where I live, in (city of residence)." Even though it's repetitive, film yourself again saying your name, your age, what city or town you live in, and what you do for work. Now open the door to your home, have the camera operator follow you, and give a tour, introducing anyone you live with: family, friends, or roommates. You don't need to show bathrooms or other people's bedrooms; focus on the public areas and your space. Go into the kitchen and make a video of you making and plating your signature dish, describing the steps you take as you go through them. Because they can't taste your dish, you must wow them with these images. Remember that the completed video must be under 10 minutes, so you can't describe or show every little step in the cooking process. Show the main things, the dish you are creating, the ingredients, whether it's roasted or sauteed or grilled, and how it looks when it's completed and ready to eat. Then make a video of you doing other things you typically do. If you're involved in sports, have someone tape you playing; if you have a collection of something, show it. Use this as an opportunity to demonstrate your personality and show you have interests outside of cooking. Tell producers something about yourself that they wouldn't expect based on your first impression—something that will surprise people. Now tell the producers a little more about who you are as a cook. Tell them what food and cooking means to you. What role did food play in your life when you were growing up? Where did your inspiration for cooking come from? Has your heritage played a part in what or how you cook? How often do you cook? Do you use recipes or make up dishes from scratch? Have you had any training? What kind of cook are you? What type of food do you enjoy cooking? What do you think makes you a good cook? The "How to apply" section of the website offers more advice on making a winning casting video. When your video is done and ready to go, upload it, a photo of yourself, and a picture of your dish and complete the application online. If you can't upload it, package your video (labeled with your name, phone number, and "MasterChef Season (#) Casting) with a photo of yourself, a photo of your plated dish, and a copy of your completed application and mail it to the address on the website. Keep copies of all your application materials including your audition video in case you need back-ups. See the site for additional requirements.